Dr. Marc Faulkner is a West Texas native, graduating from Permian High School. After high school, he attended Tarleton State University and graduated with a Bachelor’s Degree in Agricultural Education in 1997. He received his master’s degree in Education and principal’s certification from Tarleton State University in 2003. 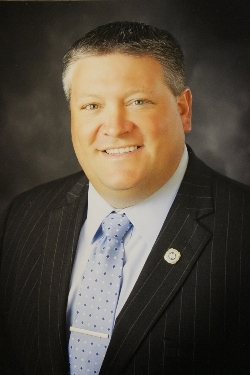 In 2007, he completed his superintendent certification through Tarleton and received his doctorate degree from Stephen F. Austin State University in 2013. Dr. Faulkner’s educational experiences include teaching 9-12 grade Agricultural Science for four years, serving as a high school assistant principal for three years, serving as the China Spring High School Principal for five years, serving as the assistant superintendent for CSISD for three years, and serving as superintendent of China Spring ISD since December of 2012. One of his most honorable accomplishments in education was being named "Region XII Principal of the Year in 2008". He also has fond memories of leading his high school campus to an Exemplary rating from TEA. In 2017, Dr. Faulkner was named by the Education Service Center Region 12 as the "Superintendent of the Year" and represented the region in the state level Superintendent of the Year selection. In his spare time he likes to spend time with his wife Amy and very active children Raelynn and Brayden. Dr. Faulkner also enjoys hunting and watching sports.